My mother told me of the occasion in Boston when Dr. Martin Luther King, Jr. was honored by Boston University at a convocation prior to his leaving for Sweden to receive the 1964 Nobel Peace prize. At the reception following, my mother was introduced to Dr. King and my grandfather, E. Stanley Jones was mentioned. Dr. King immediately became very serious and said: “Your father was a very important person to me, for it was his book on Mahatma Gandhi that triggered my use of Gandhi’s method of non violence as a weapon for our own people’s freedom in the United States. 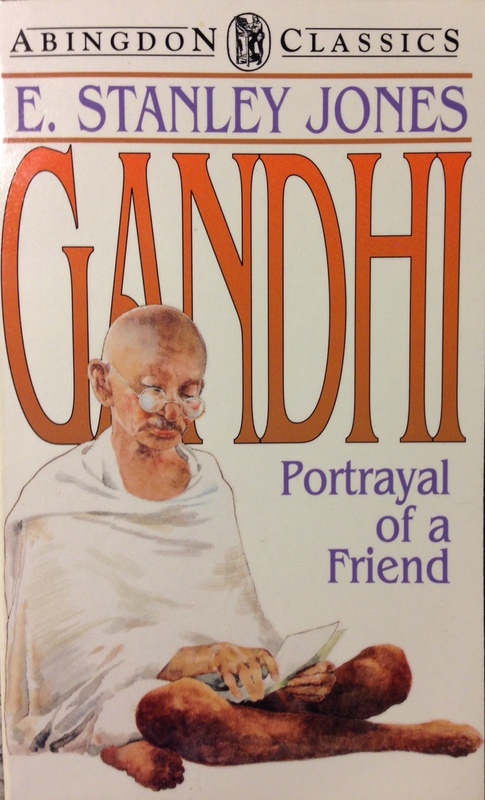 “ He continued, that though he had been very familiar with the writings on Gandhi and had been interested in his method of non-violence for years, still it had not “clicked” with him that it was a vehicle for “use” in the United States. Reading my grandfather’s book on Gandhi may have assisted King with the application of Gandhian principles within a Christian context.